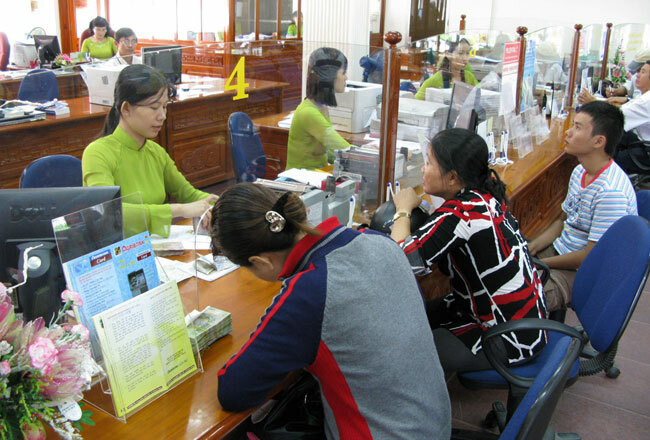 HA NOI (VNS) — The State Bank of Viet Nam (SBV) has reduced maximum interest rates for five priority sectors, including agriculture, export, supporting industry, small and medium-sized enterprises and high-tech firms. The new rates, set at eight per cent yearly for short-term loans, is one per cent lower than the previous rate and took effect on March 18. Industry officials have expressed their enthusiasm for the assistance the new rate will provide. "Enterprises began purchasing rice for storage on March 20. Therefore, the cut in lending rates helped increase rice prices, which had sharply dropped in past days," said Lam Anh Tuan, Director of Thinh Phat Food Co., Ltd. in Cuu Long (Mekong) Delta's Ben Tre Province, as quoted by Nong thon ngay nay newspaper. Pham Thi Huan, Director of Ba Huan Co., Ltd in HCM City, said she was pleased about the reduction in lending rates. "The cut in lending rates will encourage enterprises operating in the agriculture sectors, such as my company, to invest in modern machinery and apply new technologies along the production line," Huan said. The lending rates for supporting industries and exports in Viet Nam are still high, compared with rates in other countries, resulting in it being difficult for some domestic enterprises to compete, according to Director of CAFATEX Fishery JSC Nguyen Van Kich. "Therefore, we are still considering further cuts," Kich said. Lowering interest rates is SBV's attempt to encourage enterprises to take out more loans, and seeks to aid the economy, according to Nguyen Tri Hieu, a banking expert. However, several enterprises and farmers raised concerns over the procedures required to receive loans. The Government should closely supervise and monitor credit institutions to assure the process to receive loans remains uncomplicated, according to a director of a company trading in rice in Can Tho City.